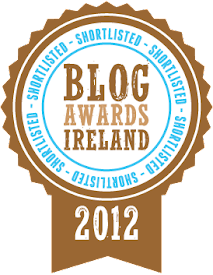 Communicate Science: Do Irish people trust scientists? 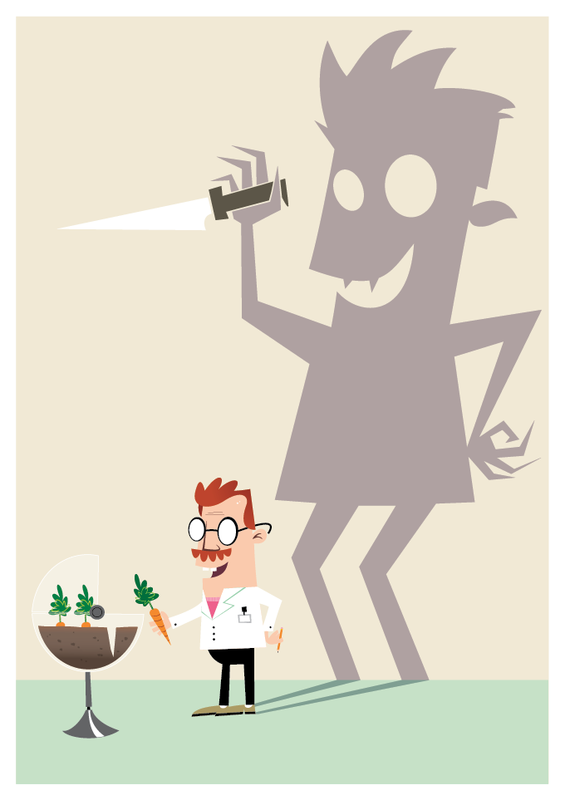 A recent survey estimating the public trust in scientists and other professions makes for interesting reading but it is not without its flaws. 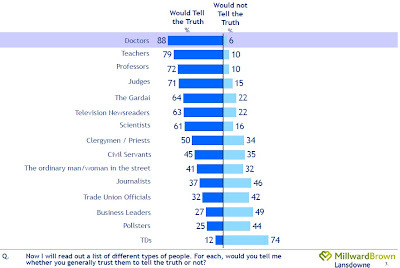 In a survey of just over 1,000 Irish adults, 61% said that they trusted scientitsts to tell the truth. On the other hand, 16% said they felt that scientists would not tell them the truth. The results come from a Millward Brown/Lansdowne survey conducted between February 9th and 3rd March, 2011 and released by the Medical Council today. 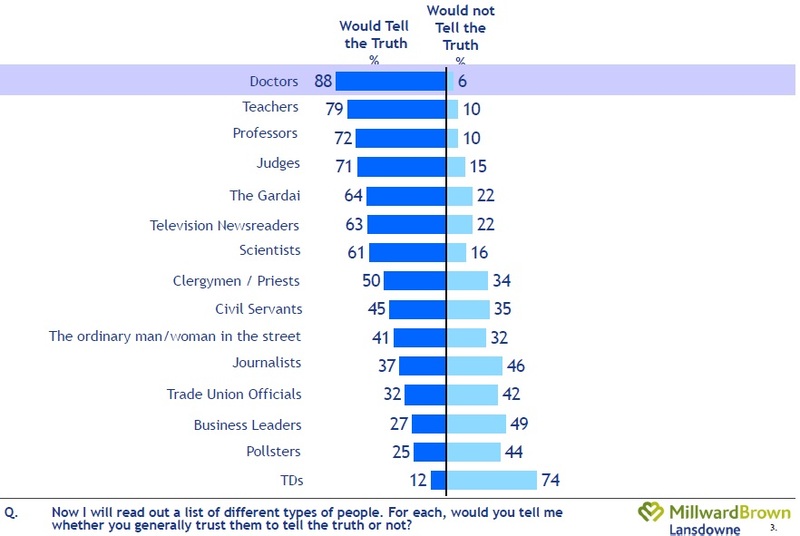 Doctors were found to be the most trustworthy profession in the country, according to the survey, with 88% of respondents saying they would trust a doctor to tell them the truth. Teachers (79%), Professors (72%), Judges (71%) all scored relatively highly with TDs (12%), Pollsters (25%) and Business Leaders (27%) bringing up the rear of the poll. The poll makes an interesting, although probably not intentional distinction between scientists (61%) and scientists working in academia (which must make up at least part of the score for Professors; 72%). 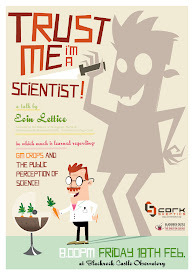 Does the conferring of the title 'Professor' immediately make you more trustworthy as a scientist in the eyes of the Irish public? It would be useful, in future surveys of this nature to look at the difference between industry and academia in terms of science. For instance, teachers scored 79% trustworthiness in this survey, and at least a portion of them must also be trained scientists. The findings reflect earlier studies across Europe which show that individuals trust scientific information they recieve from 'academic' scientists more than that which they get from 'industry' scientists. Whatever the usefullness of such a survey, it is to the advantage of science that scientists continue to communicate with the general public in a truthful and meaningful way. Maybe then we'll beat those doctors! For me a much more interesting question would be 'do you trust science?' Who cares if you don't trust a scientist to tell you the truth (there are plenty I don't trust) as long as you trust the self-checking system that eliminates dishonest, deluded, or just plain bad scientific claims? An important part of the rhetoric of science is that you don't have to take anyone's word for it.